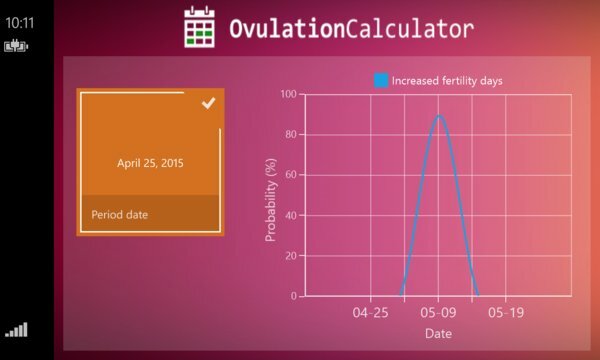 OvulationCalculator helps you determine fertile days of the month, so you can either achieve or avoid pregnancy. The calendar is based on the date of your last period and the average period length. 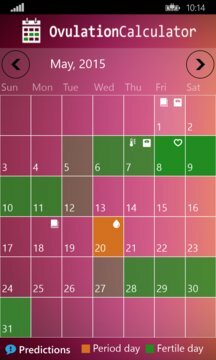 You can use this app to track your periods, fertility days, temperature, pills, weight, and also due date if conceived. Extremely simple to use interface, simply tap on any date in the calendar to add or update information.